Ever since opening its doors in the early days of Santana Row in 2002, Maido has been a main supplier of finer stationery goods and very unique gift items. With an amazing variation of pens, pencils and notebooks, we aim to please a wide demographic of people and try to help with assisting them with whatever they may need. Whether the products would be coming from Japan or from one of our many local distributors, you will always find the best quality stationery we have to offer. Choosing what type of color you’d want for your pen or notebook would be the hardest decision when coming here since we have such a wide array of choices. Also, it’s a very exciting feeling when customers come in and take enjoyment in the amazing products we sell and we’re glad that we can share the same interest and enjoyment of stationery goods with our patrons. 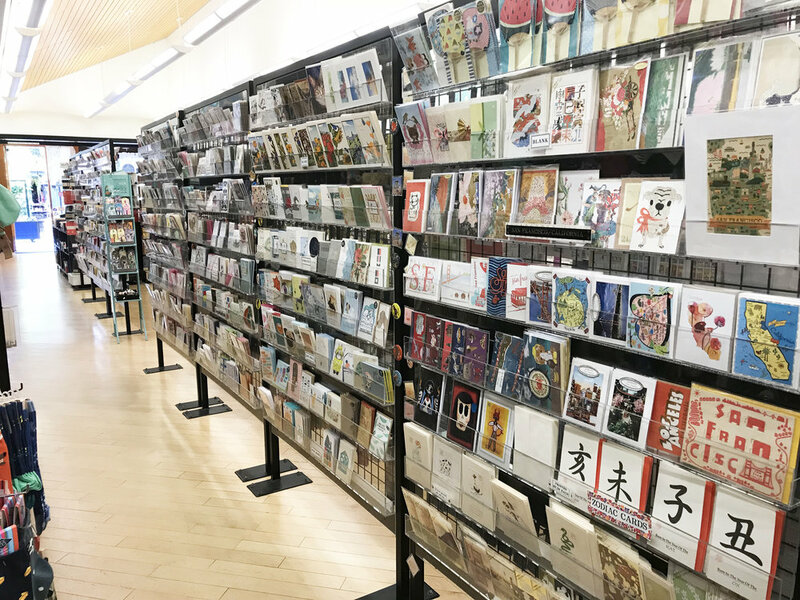 For those with a specific taste for stationery goods or those that are looking for something extremely cute to place in their home or office, Maido Santana Row is definitely a place to visit! Our staff here will not only make you feel welcome, but we will do our very best to help you find anything it is you may need for school, home, or office. Please also visit our Instagram to keep updated with some of new products and stationery goods!